Luxury living at its finest! This prestigious Santee single-story model perfect pool home in exclusive Sky Ranch community with 3 car Garage and all the high-end modern upgrades amenities, including an incredibly large gourmet kitchen island with lots of storage, every detail has been thought of with no expense spared. 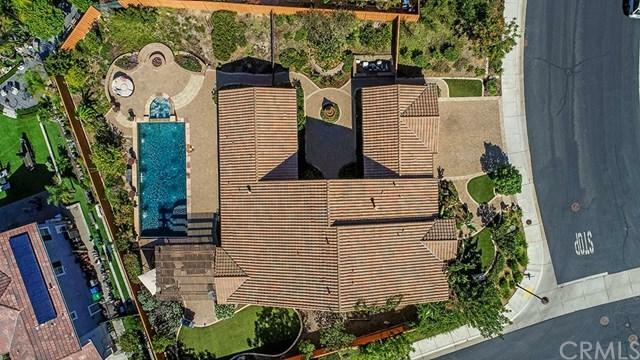 This is an entertainer+GGs paradise with a spectacular SALT WATER SWIMMING POOL & SPA, beautiful low-maintenance landscaping, Stunning Courtyard with a lovely water fountain. This immaculate corner lot home features 4 bedrooms and 3 1/2 bathrooms with an open floor plan. Upgraded plantation shutters, beautiful cabinetry throughout, and granite counters, stainless steel appliances, XXL-walk-in kitchen pantry, Gorgeous wood floors throughout the living areas master bedroom has huge walk-in closet. Centrally located near freeways, stores, schools, and entertainment, minutes away from Beaches and even Petco park. Don't miss out - call now for your private showing. Sold by Kyle Whissel of Exp Realty Of California Inc.